The worlds largest work of art and Australia's biggest "who done it mystery". True! Discovered in 1998 and no one knows who did it, how they did it, or why. 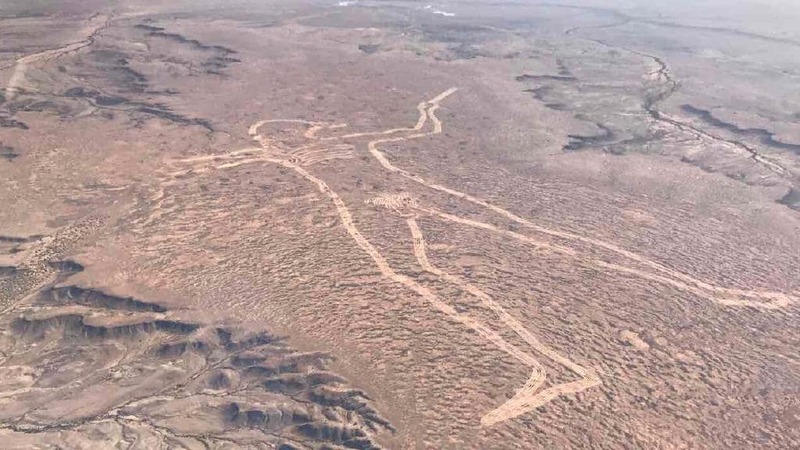 See this 4.5km tall aboriginal hunter in all his glory. An absolute aerial perspective on this Australian mystery.